The first pictures of the upcoming Mercedes Sprinter have been revealed, along with further details about the all-new van ahead of launching in the UK in June. 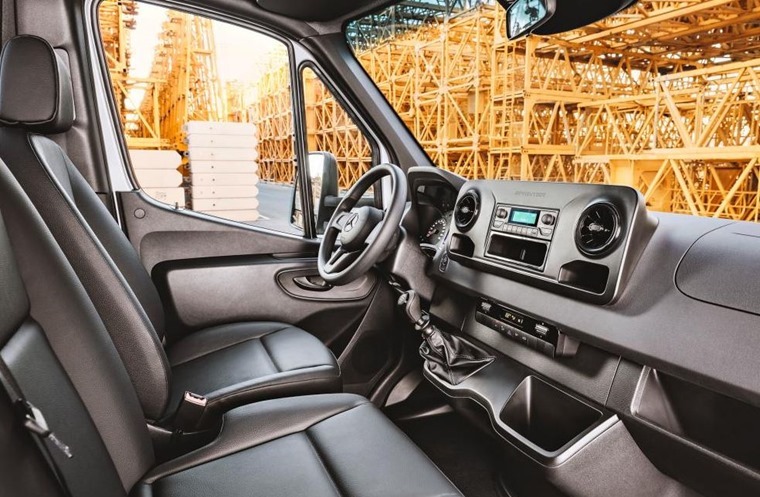 It’s set to join the X-Class pick-up as part of a new generation of Mercedes commercial vehicles which feature a host of new tech and connectivity features, while an all-electric version – the eSprinter – has also been confirmed for 2019. The new van gets a more car-like design up front than the outgoing van, courtesy of some sharp headlights and a sloping, angled bonnet that’s more pronounced than before. Like the X-Class pickup, Mercedes' trademark star takes pride of place on the grille, and is much larger than the current van’s badging. It’s more than a refresh however – the new design has boosted capacity by bringing the cabin further forward. 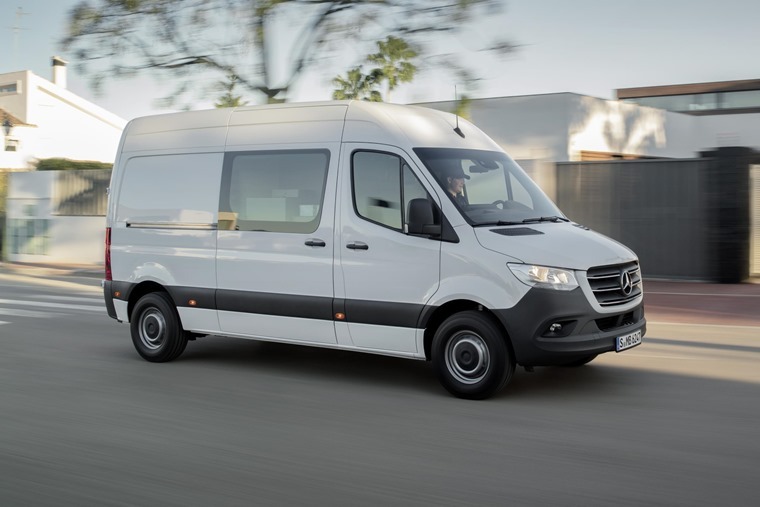 The most notable updates are on the inside though, where a host of new connectivity tech should put the new Sprinter in a class of its own; as far as vans are concerned, anyway. The dashboard has been updated, which features vents that appear to have been taken from Mercedes’ cars. A centrally mounted infotainment system is available which is based on Mercedes’ latest system: MBUX. It also gets state-of-the-art connectivity hardware and the Mercedes PRO connect services, allowing optimised communications between fleet manager and driver. The Sprinter has always been a relatively nice van to drive, but options now include Park Assist which should make it even easier to drive. Adaptive Cruise Control is standard across the range, and independent braking system and Crosswind Assist puts it among the safest vans on the market. 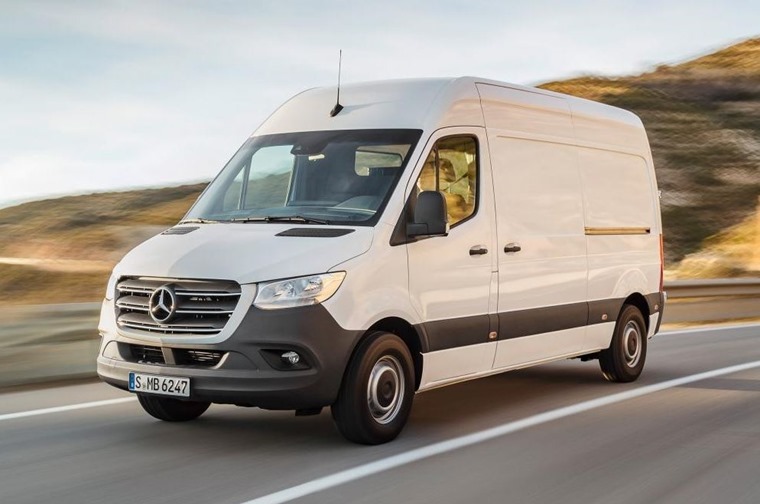 Mercedes says the new van will be available in more body-styles than ever before (1,7000), and most will benefit from the new, more versatile platform; for the first time you can order a Sprinter with either front- or rear-wheel drive. Front-wheel drive Sprinters benefit from a lower load floor than before (-80mm) while also increasing maximum payload by 50kg. The maximum load capacity is 17 m3, and payload up to 5.5 tonnes. Exact engine specifications are to be confirmed, but expect a range of turbo diesels. Standard specification includes a six-speed manual transmission, but a seven-speed automatic gearbox will be on offer too. What we do know is that the new Sprinter forms part of Mercedes’ electrification strategy, with an all-electric eSprinter due sometime in 2019. This follows the recent release of the smaller eVito. 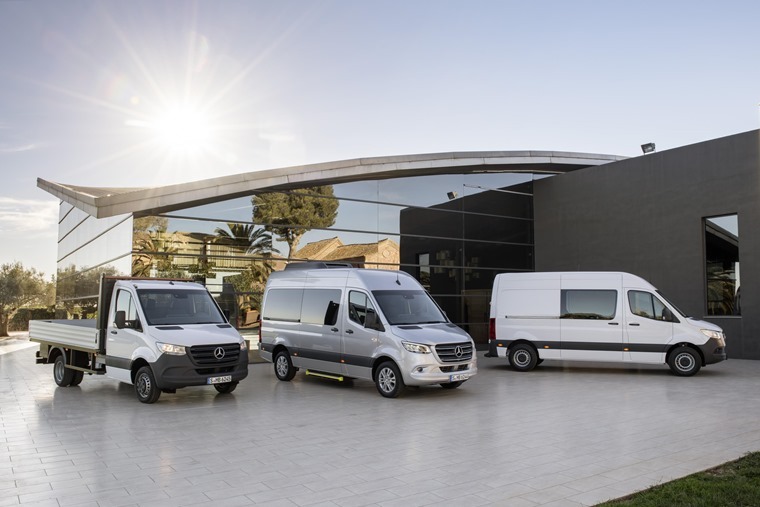 We’ll bring you more details as and when they are released but, if you can’t wait for the launch of the new Sprinter, we have thousands of deals on the class-leading current version here.